Over the course of more than 40 years in business, Microsoft has proven time and time again to be the most dominant software company in the world. But IT visionaries are now wondering if we’re witnessing the dawn of the post-Microsoft era – especially as their stranglehold on directory services begins to loosen. Many IT admins, for their part, are beginning to question how they can eliminate their reliance on Microsoft. The move to the cloud has changed the way IT admins are thinking about their future. The introduction of mobile devices has transformed the way that end users leverage their computer devices. And they have lots of devices to choose from, don’t they? Mac and Linux devices are more popular than ever – with many organizations where Windows systems are outnumbered. These are the fundamental changes in the industry that have many wondering if we’re entering the post-Microsoft era for IT. But Microsoft has proven resilient so far – and the number one reason behind that resiliency is Active Directory®. So let’s talk more directory services, how they evolved, and where they’re going. Microsoft made a brilliant move in 1999 with the introduction of Active Directory. At the time, they were already on top of the software market, with overpowering market share in their Windows and Office product lines. Plus, as the Internet and email became much more important, Microsoft Exchange became the leading email server on the market. Microsoft tied all of these critical components together with AD, their directory services solution. IT would control all user access via Active Directory, and AD would work with Windows-based devices and applications. During the 2000s, the market evolved and everything started to change with the advent of the cloud and the introduction of mobile devices. Salesforce introduced what is now one of the most popular web applications. That was followed up by AWS launching their market-leading Infrastructure-as-a-Service platform. Around the same time, Google introduced Google Apps for Work (now G Suite), which outsourced email and productivity applications. The iPhone started Apple’s resurgence, and the Mac would go on to be one of the most popular devices. All of a sudden, the world didn’t look like it needed Microsoft. The challenge with the move to these non-Microsoft services and solutions was how to tie them together. Active Directory didn’t make it easy to connect users to cloud infrastructure, web applications, or Mac and Linux devices. Yet many organizations still had Active Directory in place. That was pushing them to stay with Microsoft solutions, including Office 365. But now, with little reason to stay with Microsoft, IT organizations are replacing their Active Directory infrastructure with Directory-as-a-Service. The cloud directory service is independent and treats many of the core platforms that IT organizations want to leverage as first-class citizens. Instead of Windows being your only integration solution, now Macs, Linux, AWS, G Suite, O365, and many other platforms are seamlessly integrated. 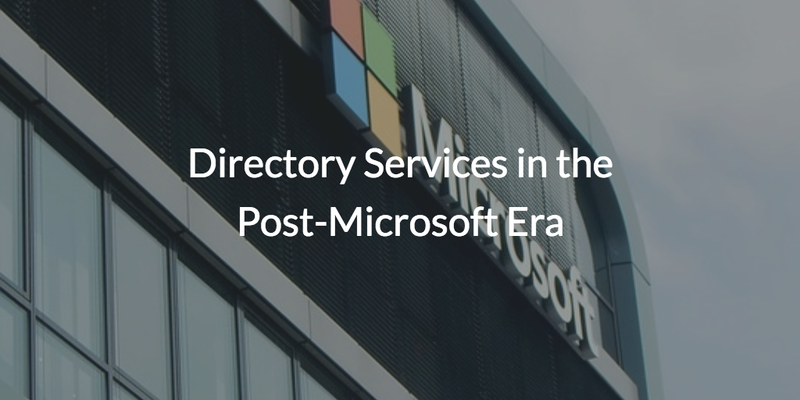 The benefit of Directory-as-a-Service is that it unifies post-Microsoft IT. Ready to Move Beyond Microsoft? In many ways, the most critical step towards entering the post-Microsoft era is in replacing Active Directory. JumpCloud® Directory-as-a-Service is the leading Active Directory alternative. As an independent cloud directory service, you’ll be able to integrate whatever systems, applications, and networks you and your users require. 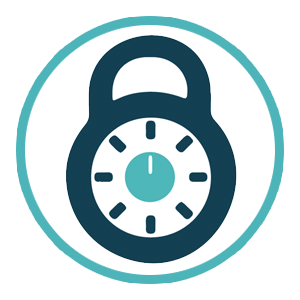 Feel free to give our Identity-as-a-Service platform a try for yourself. Your first 10 users are free forever.